The Archaeological Institute of America is pleased to present the 2005 James R. Wiseman Book Award to T.J. Wilkinson for Archaeological Landscapes of the Near East (University of Arizona Press, Tucson, 2003). Wilkinson has written a book of fundamental importance to the study of the cultures of the Near East, ancient, medieval and modern. Based on more than thirty years of fieldwork, synthesized with the now vast field of landscape studies, Wilkinson’s is the first comprehensive discussion of the use and the evolution of complex and diverse landscapes extending from Anatolia in the west through Syria, the Levant, Iraq, southeast Arabia, and as far east as the Iranian plateau. After outlining the basic modes of data collection, principles and techniques of analysis, and theories of interpretation, Wilkinson constructs a typology of distinct "signature" landscapes and identifies the basic categories of their use. He tells a compelling tale of the dynamic and complex evolution of the landscape in response to both environmental and human intervention from the Neolithic period through the first millennium C.E. Augmented with copious illustrations and tables, a glossary, and a comprehensive bibliography, Wilkinson’s study explains the processes of landscape change using numerous case studies located in distinct ecological zones. His detailed discussions take into consideration a vast range of environmental, archaeological, and textual evidence. The end result is a picture of landscape change over millennia presented as a "succession of kaleidoscopes," capturing the infinite potential of the cumulative interaction of nature and culture. 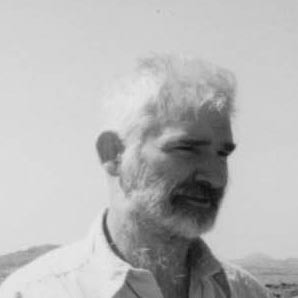 Wilkinson has set the agenda for the next generation of landscape studies in archaeology, setting the highest standards of practice, indicating the many outstanding problems, and pointing the way for future work in the many regions that await investigation.